This talk develops a critical approach towards competitive videogaming by considering how gameplay metrics, such as ‘actions-per-minute’ and ‘match-making rank’, extend neoliberal political formations through the surveillance and control of players’ bodily practices. By way of examples from DOTA2, it argues that competitive videogames attune players’ habits and practices to affect economic methodologies and rationales on themselves and others. This is important for critiquing how videogames promote the competitive market as an ideal social formation whilst obscuring its negative psychological and sociological effects. Tom Brock is a Senior Lecturer in the Department of Sociology at Manchester Metropolitan University. His research interests include play, games and social theory. He has authored publications on esports, player skill, failure, player labour and digital games consumption in peer-reviewed journals including, Games and Culture, Journal of Consumer Culture, and Information, Communication and Society. Tom has also published widely on social, political and cultural theory in peer-reviewed journals including, The Sociological Review, Journal for the Theory of Social Behaviour and the Journal of Critical Realism. A special issue of the journal ToDiGRA (Vol. 3 No. 3, 2018) is out now. It collects the work of the British Digital Games Research Association, and it is co-curated by Dr Paolo Ruffino, from University of Lincoln. 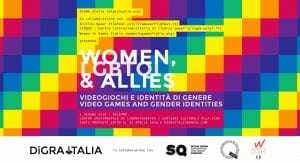 Dr Paolo Ruffino from the Lincoln Games Research Network has presented his research on GamerGate at the DiGRA Italia 2018 conference: ‘Women, LGBTQI & Allies: videogiochi e identità di genere‘. 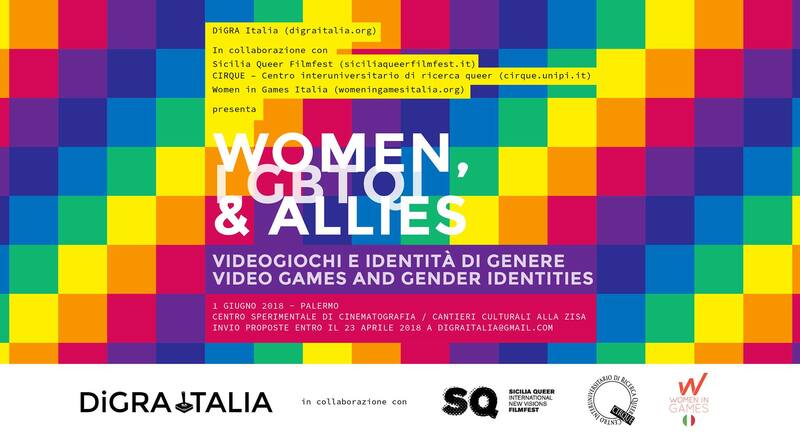 The conference was hosted by the Sicilia QUEER Fest in Palermo, Italy. The event has gathered game scholars from Italy, and international speakers from Spain and the United Kingdom. It was curated by Dr Marco Benoit Carbone (UCL) and Dr Ilaria Mariani (Milan Polytechnic).